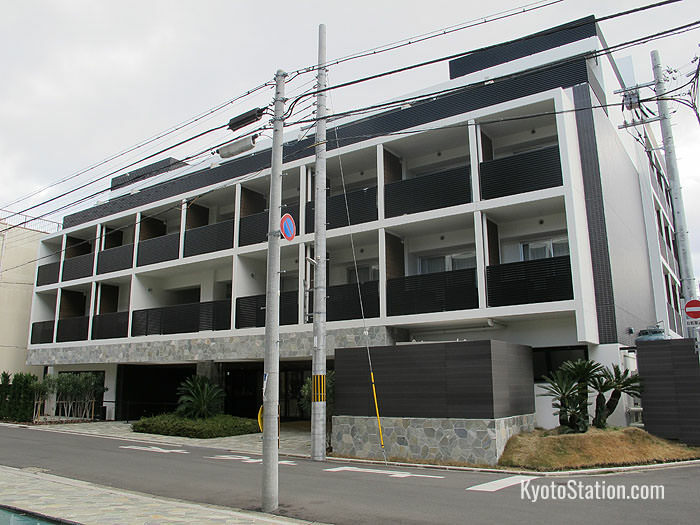 Sakura Terrace The Gallery opened in March 2015 and is a sister branch of the nearby Sakura Terrace Hotel. 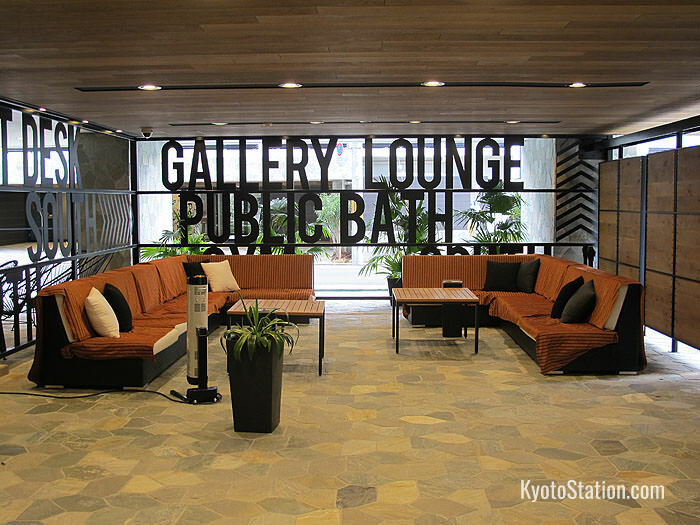 Like the older hotel, Sakura Terrace The Gallery offers a similar standard of comfort and convenience, but with a more fashionable exterior and interior design. 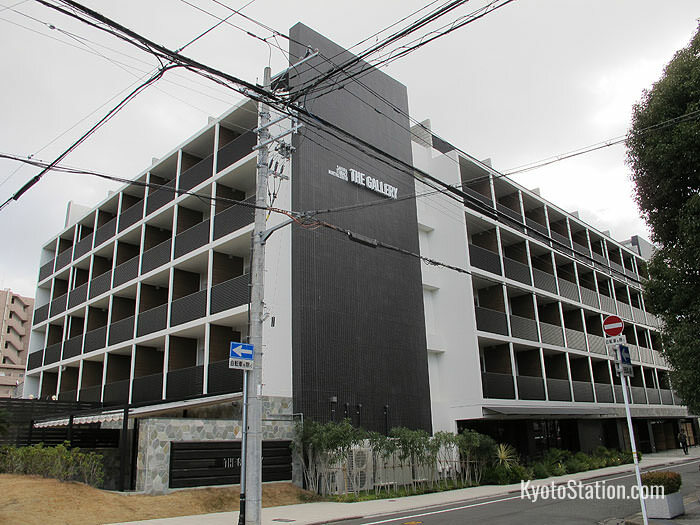 This hotel is also closer to Kyoto Station being just 4 minutes away from the Hachijoguchi Exit. 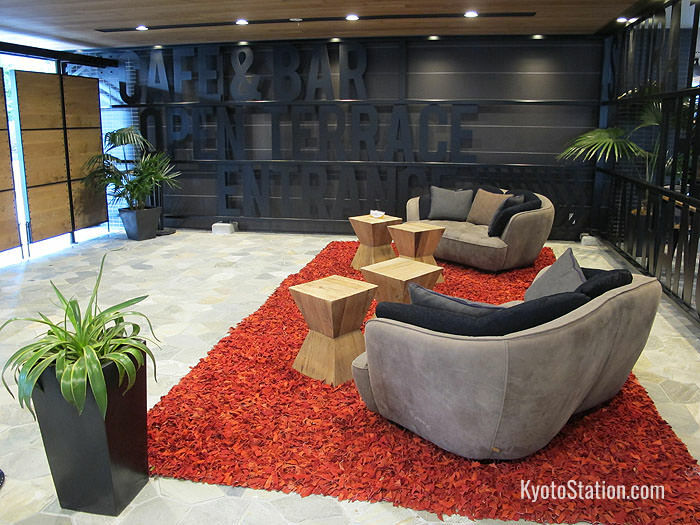 Although it has some excellent facilities and unique services, it does seem to be aimed more at tourist couples, than at business travelers or families. This hotel has 220 guest rooms. Each room is fully air-conditioned with a private bathtub, shower and toilet. All rooms are supplied with a refrigerator, a hair dryer, an electric kettle, nightwear and a complementary set of toiletries. Rooms also have free Wi-Fi access, and flat screen TVs with free cable channels including BBC, FOX, MTV, movie channels and domestic channels. There is also a special channel you can use to see how busy the restaurant or public baths are. Rooms at Sakura Terrace The Gallery seem to be aimed more at the tourists than business travelers, as there are no single rooms, only doubles, twins and king sized rooms. Also the hotel policy is not to accept bookings from families with children under 12. This hotel is also rather unusual in structure as it is divided into two wings, north and south which are separated by a quiet road. Depending on where your room is in the hotel, you may have to exit one building and cross the road to use some of the hotel facilities. The restaurant, for example, is in the North Wing and the public baths are in the South Wing. 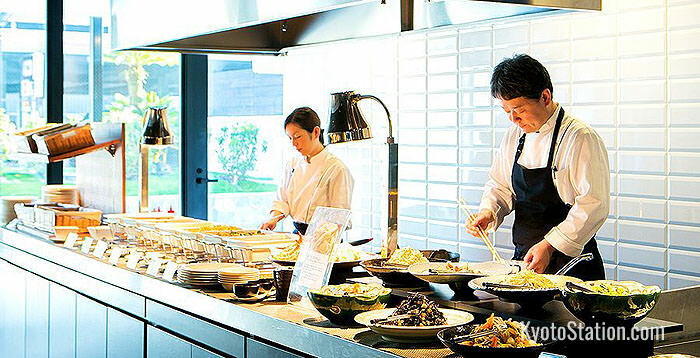 A buffet style breakfast is available for an additional surcharge of 2300 yen. Both Japanese and Western style dishes are available and include locally farmed rice, fresh baked bread, healthy salads, egg dishes, soups, fruits, yoghurts, cereals, and homemade fruit and vegetable smoothies. Breakfast is served from 7:00 – 10:00 (last orders are at 9:30). The restaurant opens for dinner from 17:00 – 23:00 (last orders are at 22:00). On the a la carte dinner menu are Wagyu beef steaks, maguro sashimi, sukiyaki, soba noodles with duck and scallions, and grilled lobster in a champagne sauce. Light meals and snacks are also available. The Take-Out Counter is open from 17:00 – 22:00. Here you can order food and drinks to be enjoyed either in your room or on the hotel patio. Large fireplaces and fire pits keep this area warm in the winter months and create an atmospheric mood. The Take-Out Counter also doubles as a bar serving an array of soft drinks, as well as beer, wine, spirits, local sake and shochu. In addition each guest is entitled to a free “Welcome Drink” every night of their stay. This can be either an alcoholic or non-alcoholic beverage. House roasted coffee and a variety of teas are available from 8:00 till 23:00 and they are all completely free. The Japanese style public bath and sauna is situated in the South Wing of the hotel. The baths are divided by gender and are open from 6:00 – 10:00 and 16:00 – 1:00 am. A hot soak in refreshing mineral waters after a day of sightseeing can be incredibly soothing. Massages are also available for a fee. Ask at reception about this service. There is a modest gym in the South Wing of the hotel which is fitted with 4 running machines and a yoga mat. It is free to use and open from 6:00 – 23:00. Some staff at the reception desk speak English and can help you to make restaurant reservations, call taxis, or answer enquiries about local tourist sites. Luggage can be stored at the reception desk both before you check in and after you check out. The hotel has a wheelchair available for those who need it, but this should be booked in advance. There is also a “Universal” guest room that is suitable for wheelchair access. There is a self-service laundry open 24 hours a day, with washing machines and dryers. Free detergent is available from the reception desk. A dry cleaning service is also available for an additional fee. Both wings of the hotel have drinks vending machines serving soft drinks and alcoholic beverages. There is live music every night except Sunday in the bar and restaurant area with different musicians playing each evening.